Winikoff, Gale M. (Southworth) Age 62, of Edina, passed away July 15, 2015. Preceded in death by parents and two siblings Patricia and Diana. Survived by husband Arlan; daughters, Andrea (Sean) Davis and Sarah (Stuart) Winikoff; grandson, Benjamin Davis; sister, Sue (Steve) Holmer; brothers, Bill and Skip (Audrey) Southworth; many other relatives and friends. 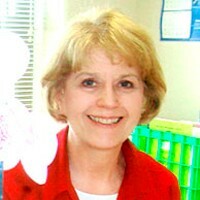 Gale dedicated her career to education, teaching grades 4, 5, and 6 in the Osseo School District. She will be remembered for her devotion to friends, family, and students. Memorial service to be announced. Visitation held Sunday 3-5 PM at the Cremation Society of Minnesota in Edina, 7110 France Ave. S.